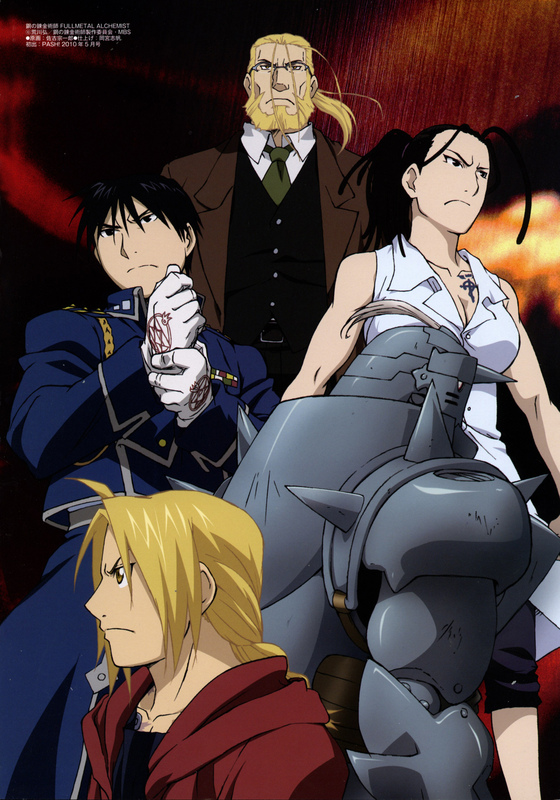 Perhaps the best OVA collection that I’ve come across, one of these Fullmetal Alchemist Brotherhood OVA’s is even inspired by stories referenced within the main show and expanded upon, but the original stories still reinforce the themes of life and death much like the show did. The animation style, taking after Brotherhood, is gorgeous and cleanly drawn, beautifully conveying the scenery and comedic moments. The humor is still just as on-point as it is in the show, but these OVA’s also take the necessary emotional cues needed to make it an entertaining collection of side stories. “The Blind Alchemist” chronicles a chapter Ed and Al’s long journey to find the Philosopher’s Stone, and they come across a girl who was believed to have been resurrected successfully through Human Transmutation by an alchemist who sacrificed his eyesight in exchange. They later discover that the girl they met is in fact adopted, and that the original daughter died and her corpse remains locked away in the house. But because the alchemist is blind, he assumes that his sacrifice successfully revived her, and Ed and Al don’t have the heart to tell him the truth. They leave with the knowledge that the alchemist’s efforts were in vain, and wonder if their own quest to restore their bodies will amount to anything. 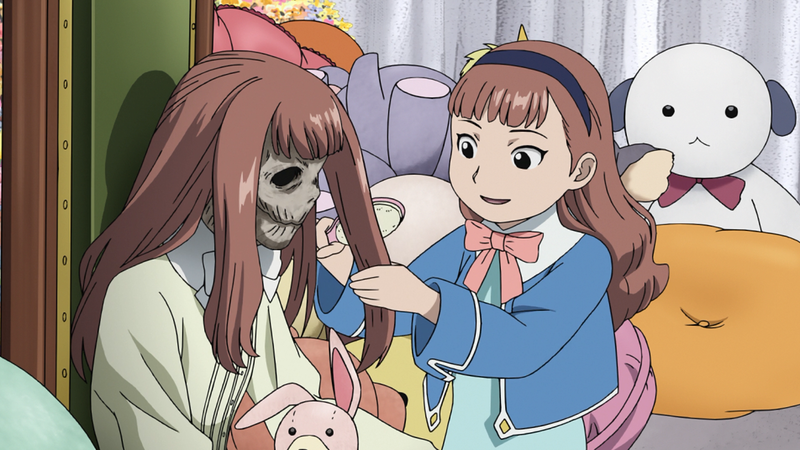 This OVA is pretty interesting, expanding on the themes that make the show so compelling and enjoyable to watch. The twist is pretty surprising, and while it’s no Nina, it has emotional resonance, and seeing it influence Ed and Al and their own mission is compelling. “Simple People” focuses on Winry receiving earrings as gifts from Ed and Al to appease her whenever they run into trouble. Their bribing works overall since Winry genuinely likes the earrings and pierced her ears because of Hawkeye. 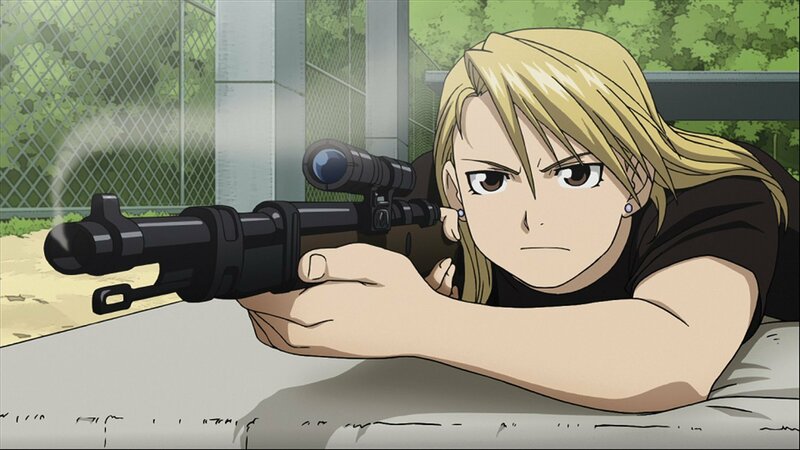 This OVA also spends some time exploring Hawkeye’s motivations and friendships as well, with her claiming that she grew her out after meeting Winry in Resembool. While seemingly silly in premise, the themes this OVA explores – the idea that people have a powerful influence on each other and can inspire each other in surprising ways – is simple but effective. As its title suggests, it takes the time to characterize Winry and Hawkeye as human, in the most seemingly mundane ways possible, but also reflecting on the human condition as well. People are defined by their interactions with others, and ultimately, “Simple People” does a good job of exploring that in an effective way that doesn’t come off as trivial or pointless. 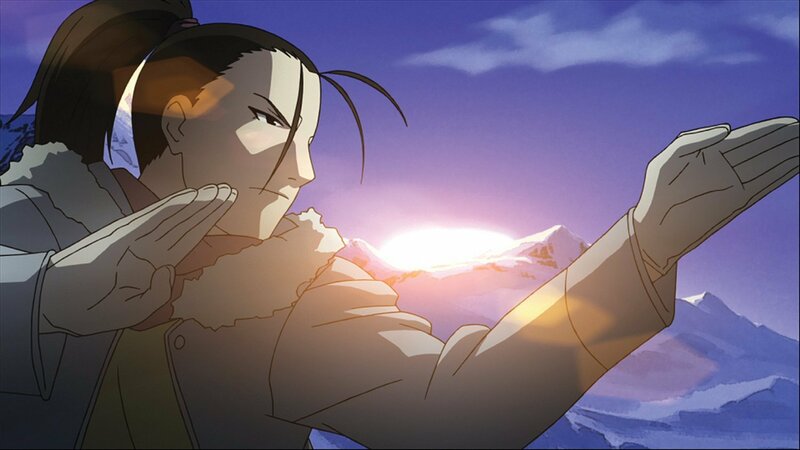 Arguably the most amusing OVA of the four, “The Chronicle of Teacher” explores Izumi’s training in the mountains when she was young. This training montage is alluded to in Brotherhood, but the audience is never given any details of her escapades until now. This OVA balances comedy and action excellently, characterizing Izumi as the strong and capable woman we all know and love from the original show. In a way, her portrayal doesn’t differ all that much, but it’s a welcome addition that I enjoy immensely. While it’s funny and action packed, it still takes the time it needs for Izumi to find her resolve and reach the conclusions she needed to make in order to complete her training and learn the valuable lessons that she would later entrust to Ed and Al. “The Chronicle of Teacher” is amusing and enjoyable, and fans of the show should definitely check it out especially since it feels so authentic and canon to the backstory alluded to in Brotherhood. The final OVA, “Yet Another Man’s Battlefield” focuses on Roy Mustang’s military training and his first encounter with Maes Hughes. Because Brotherhood often characterizes Roy and Hughes as extremely close friends, “Yet Another Man’s Battlefield” makes a bold decision to make their first encounter steeped in rivalries and misunderstandings that cause the two to despise each other while also trying to out-compete each other. As time goes on, they learn to trust in each other and find common ground, leading to the close friendship seen in the show. 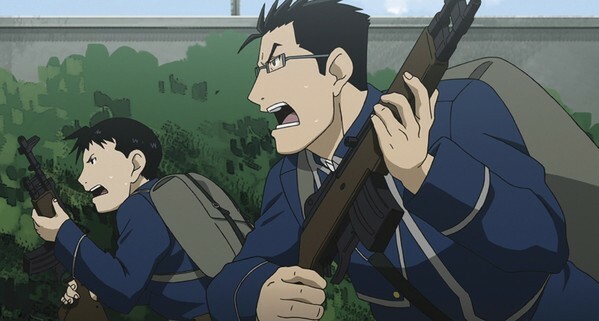 This OVA takes the time to explore the morals of the military and the significance of becoming obedient to the higher ups not unlike the show did, but it also explores these themes through the lenses of two young, naive young men who join the military out of sincerity for serving their country. It’s a well done OVA that, much like the others, carefully balances the comedy and serious moments to make it feel like it could have been included in the original show. This entire collection of OVA’s is completely worth watching for fans who love Brotherhood and want to immerse themselves in the world and characters even more, and it has the strongest stories and variety out of the OVA collections I have watched so far. Unlike the other OVA collections, these side adventures feel like they could have been included in the actual show, and it’s because of their strengths as well-written, interesting stories that continue to explore the characters we know and love. I didn’t know they had OVAs, but I’m not surprised since most anime kind of do. Where are these available to watch? Based on your summaries, these sound so good!